Below is the work notice from Metro. The first closure begins Friday night at 9 p.m. and runs until 6 a.m. Monday — then the same times the following weekend. 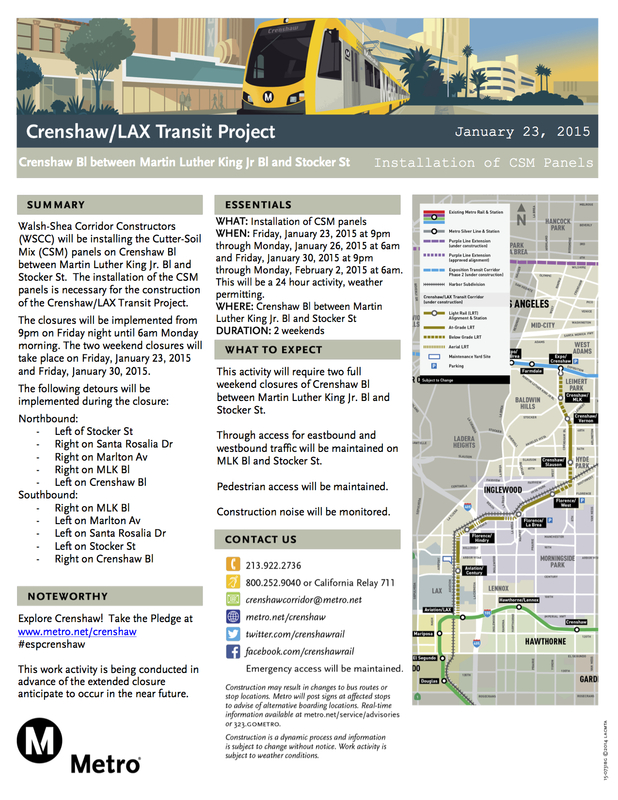 The closure is to accommodate work on the underground portion of the 8.5-mile Crenshaw/LAX Line light rail project that will run between the Expo Line in the north and the Green Line in the south.